Karen heads a competent staff of Coders, Billers, and Front Desk Supervisors as well as oversees the billing process, credentialing process, and insurance contracts for Emergency One. Karen has over 17 years experience in billing, having worked in the insurance industry and accounting before coming to Emergency One in 2001. She attended UCCC and is AAPC certified as a Certified Professional Coder. 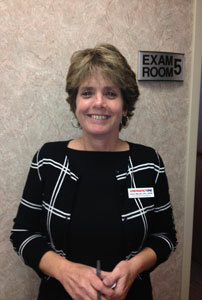 Karen has recently also become a Certified Physician Practice Manager through the AAPC.